When we first discussed the concept of a series of posts about our favourite historical fictional writing centred in our home country I wondered and debated on whether to feature the United Kingdom or simply England. I could not decide and then set about simply jotting down some favourite titles and authors and it is those first notes that is the basis for this post. 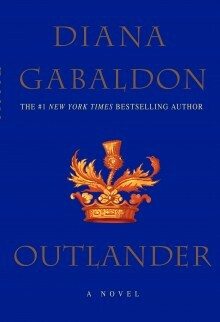 First up is the Outlander series by Diana Gabaldon. The UK version of the first book was published as Cross Stitch. The series is fascinating and incorporates a variety of genres in addition to historical fiction. They span the the post war years in Scotland and then one of the central characters suddenly finds herself in the 18th Century Scotland and latterly America. I started reading the series in about 2005 and was not sure it was my cup of tea, but I really enjoyed the first book and since then I have read the rest of the series and the secondary mini series which is about another of the central characters. The books are very well researched and whilst they include a degree of fantasy they are full of historical facts. I am now impatiently awaiting the publication of the latest book in the series, due to be published in January 2013. 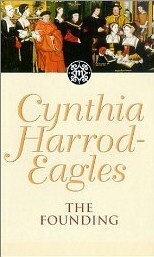 Another series is by the very well known author Cynthia Harrod Eagles. The Morland Series caught my eye about 10 years ago. Since then I have read the first two and because I am slightly obsessive I am striving to locate the complete series before I start to read them in order. I did read recently that the publisher was planning to cease publication beyond book number 34 which is a huge shame and I do hope that decision is not final. Sadly I could not locate the author's website, but did manage to find a full listing of the books in the series HERE. 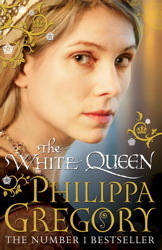 I recently was introduced to the fascinating series by Philippa Gregory as my local book group are currently reading The White Queen which is the first in the Cousin's War Series. Having been drawn in by this book, I explored the author's website and was delighted to see a whole list of further reading to explore, other books to read, chapters to download and even an iPhone app. I also note, somewhat excitedly that The White Queen is to be made into a BBC Drama, to be broadcast in the UK in 2013. A book which I read a few years ago was The Suspicions of Mr Whicher. This was based upon a true event which happened in the Wiltshire in 1860. What I loved about this book was the fact that I could actually trace the events through historical documentation which appeals to my genealogical mind. The book was made into a mini series about a year ago and was broadcast here in the UK. You can read an extract and a bit more about the book HERE. Currently in my rather large supply of library books I have a real door stop of a book - New York by Edward Rutherford. As I moved it this morning it reminded me that in this rather loose series based upon locations, the author has written three books set in England, the first is Sarum which is essentially set at Stonehenge and Salisbury. The second is The Forest which is a spin off to Sarum and is set in the New Forest. The third book is London. A fictional attempt to follow the history of the capital from early times to more current events, essentially 2,000 years of history. I hope you would agree that these are some great books. I can think of a few more, but perhaps you would like to share your favourite historical fiction set within the United Kingdom. Your welcome - Happy reading! I have almost all of these books. I love London and I've read some of Sarum. Same goes for Outlander...still have to finish. But have liked them both so far. I also own The Forest and some others by Rutherford. I plan on reading The White Queen soon too. I think I might be the only one who hasn't! Well until it was the read for my book group, there were at least two of us! I have now finished it, so there will be a review posted here......shortly! I have only read the first Outlander book... One day I may read on in the series. I did really like the Suspicions of Mr. Whicher, though. I want to read more from the author. Diana Gabaldon and Cynthia Harrod-Eagles are also favourites of mine!